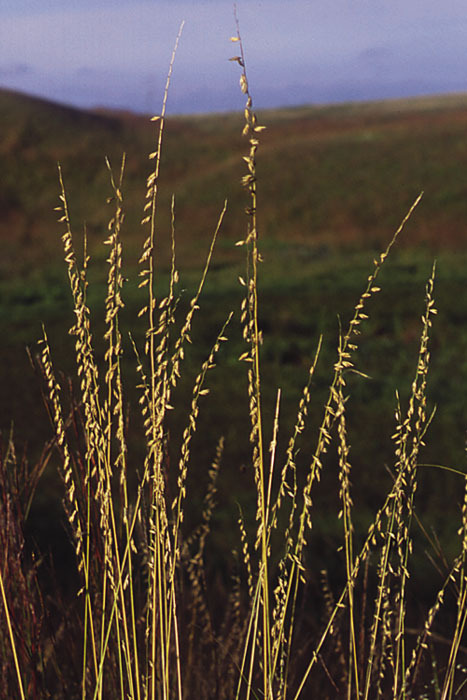 Sideoats Grama has one of the most attractive flowering stalks of any grass. Its tiny, bright purple and orange flower parts lend it a special grace and beauty. When in seed it is equally appealing, with small oat-like seeds suspended on one side of the two to three foot tall stem. Bouteloua curtipendula is excellent for dry soils and very effective when planted with Little Bluestem and wildflowers. For a solid stand of Sideoats Grama plant at a rate of 5 KG per acre.